Ecosse CS 4.2 review | What Hi-Fi? 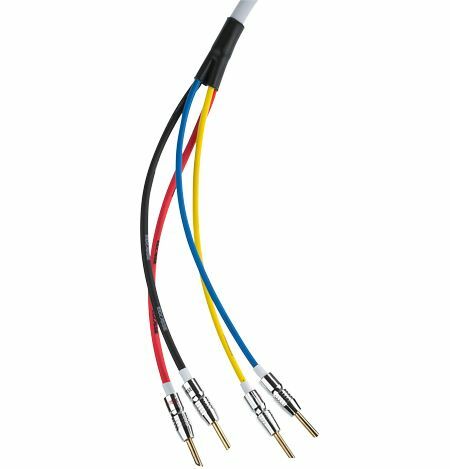 Matching the right speaker cable to your system can be a bit of a minefield – especially if you're working to a budget. At a cost-friendly £3.99 per metre, Ecosse's entry-level bi-wire, the CS 4.2 falls neatly into the budget category. We gave our reference kit Led Zeppelin's mean and moody Dazed and Confused to get its teeth round, and found that in conjunction with the CS 4.2, its sound gained a level of fine detail, together with an improved sense of timing. There's a supple bass and silky midrange present here, but pitted against the Talk 3 at the same price, we found the treble of the Ecosse to be slightly over-prominent while it would benefit from a touch more punch to its delivery. Don't get us wrong, the CS 4.2 is a very worthy cable, and would be ideal to calm down an over-excitable system, but it lacks the verve to really shine.